This entry was posted in Dailies and tagged 3000 Hits, Derek Jeter, Milestone, No Yankee Ever, number two, Yankees by Matt Huddleston. Bookmark the permalink. Nice Blog! 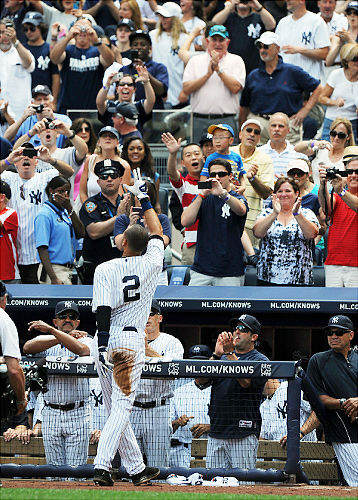 Jeter deserved this day since 1995. I am glad he did it @ home. I’m glad he did it before he made it to Toronto. But even if he had recorded it in Toronto it wouldn’t have been so bad because as you said Jeter is a classy guy. I dread the fact that A-roid is approaching 3,000.